Sign Up Today for Session 4 Junior Programs at RCLB! Find out why we are the best tennis club in the North Shore. Sign up for a free tennis assessment today! The Racquet Club of Lake Bluff has been serving up the North Shore’s finest tennis for nearly 50 years. North Shore’s premier tennis club. Get a free tennis assessment today! 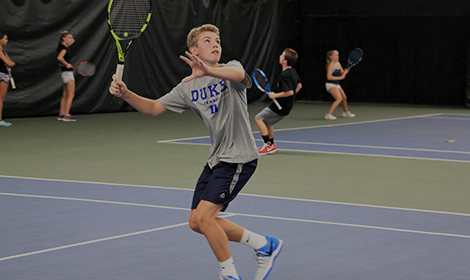 Children ages 4 -18 can advance their tennis play by attending junior programs at RCLB. Beginner through advanced are welcome to enjoy instruction, activities and match play throughout the year. 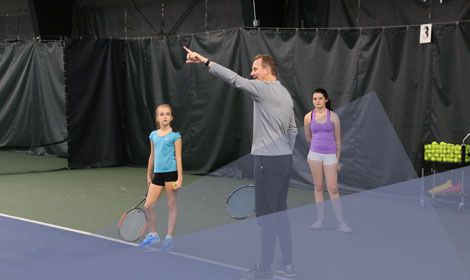 Led by certified professional coaches, our junior programs help our children become the tennis champions of tomorrow! Tennis lessons at the Racquet Club of Lake Bluff are open to every age. 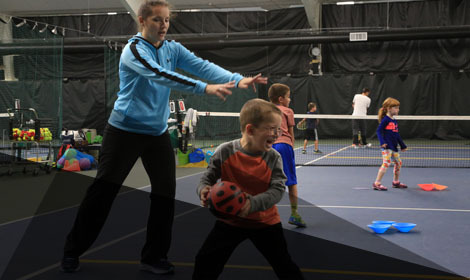 Children and adults will learn tennis basics, develop technical skills, and advance their game with coaching from our team of tennis professionals. 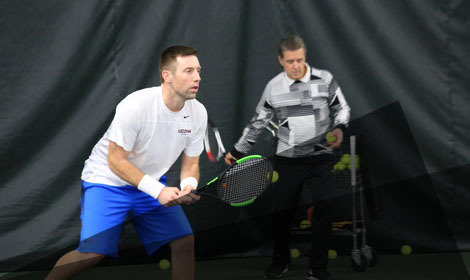 Begin with essentials such as footwork, strokes, and rules of the game, and advance to fast-paced drills and singles/doubles play. Are you ready to launch your game to the next level? No experience necessary. Lessons at RCLB are geared for new and experienced players alike! 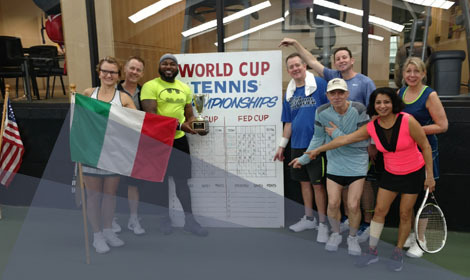 Join a league at The Racquet Club of Lake Bluff and join others who love the game of tennis too. Leagues are divided by age and ranking, and our Lake Bluff tennis club competes in several leagues affiliated with both CITA and USTA. Our club also offers a junior league with the opportunity for team travel to tournaments each month. Leagues are a great social network and a fun way to improve ranking and stay in shape! Our Lake Bluff tennis club offers plenty of activities for adults who love tennis, including classes, drills, and court time. 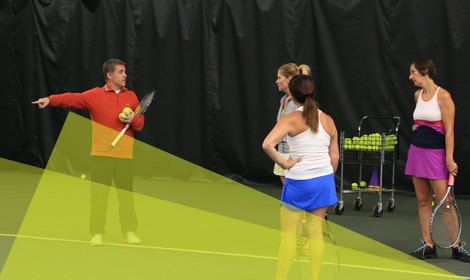 Offered throughout the week, our adult tennis programs are for every skill level ranging from beginner to advanced. There are also leagues available for dedicated tennis players who want to improve their game play and ranking. Enjoy your favorite sport, get healthy and have fun! From tournaments to tennis parties, the Racquet Club of Lake Bluff plays host to numerous special events throughout the year. Our warm and welcoming facilities offer lounges, viewing areas, and WiFi access for our guests. Stop by the front desk to learn more about special events at our Lake Bluff tennis club. 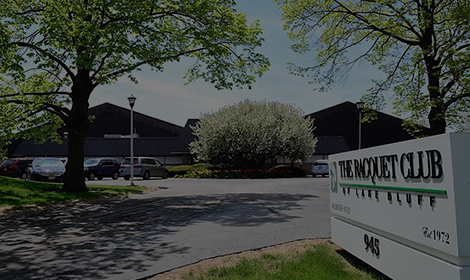 The Racquet Club of Lake Bluff is dedicated to the sport of tennis, and we have been for nearly 50 years. 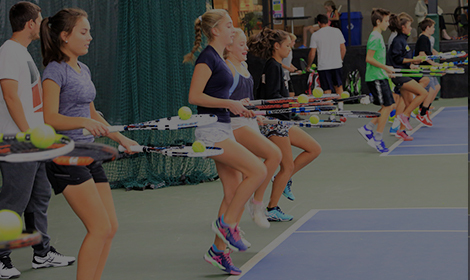 It’s our mission to provide the best programs and facilities; it’s our philosophy to ensure that those who love tennis develop new skills and practice, practice, practice. 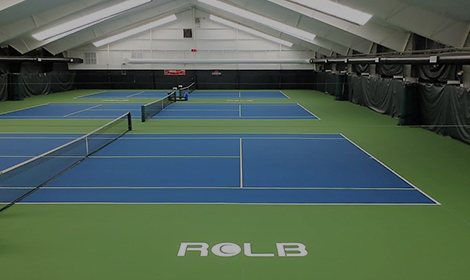 At our Lake Bluff tennis club, you’ll find professional instruction in a facility that offers services and amenities for every age and level of play. Increase your knowledge, improve your game, and get healthy and fit at the North Shore’s finest tennis facility. We’re here and we’re ready — the ball is in your court!